Background/Info: Church Of Trees hails from Canada. They previously released the EP “Primitive Creatures” (2017) and struck back in 2018 with the album “The Dark & The Light”. Several guest singers contributed to the work. 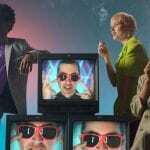 Content: The album takes off with a kind of ode to Gary Numan with the song “Like Gary Numan”. It’s a melodic electro-pop song, which is an influence you’ll find back on other cuts as well. 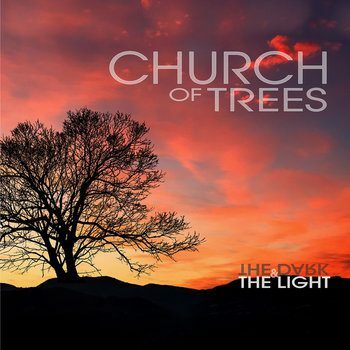 But Church Of Trees also has something indie-pop like and even more commercial like. Several songs at the end of the album have something ‘sensual’ in the vocals’ production, which reminds me of Jennifer Page. + + + : The carrying melodies and choruses are one of the album’s trademarks. “Like Gary Numan” is the right illustration of this melodic approach. Another interesting song is “Scream In Silence”, which sounds different and ‘darker’ than the rest –and features samplings from D. Trump. The work also features a nice selection of talented female singers. – – – : I can’t get away from the idea some songs have somethingnaïf and a bit teenager-like. Conclusion: This work sounds as sweet pop music for radio broadcastings with a heterogeneous audience. Best songs: “Like Gary Numan”, “Scream In Silence”.